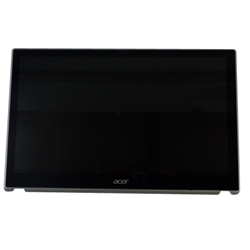 New Acer Aspire V5-531 V5-571 Lcd Screen Digitizer Glass & Bezel 15.6"
Home → Laptop Digitizers → Acer Aspire V5-531 V5-571 Lcd Screen Digitizer Glass & Bezel 15.6"
Description: New Acer replacement lcd screen, digitizer touch screen glass & plastic bezel frame. This does not include the digitizer board. This needs to be taken off your existing laptop. This will only work if your laptop originally came with a touch screen. **This item is not easy to install and should only be installed by a professional computer technician who has experience with this type of repair.